Bigbang recently celebrated its 10th anniversary with one of the boy band's biggest concerts. The Korean music group has even surprised avid fans with a special appearance from a world famous Korean singer. The South Korean group gave an exciting performance as they took the stage on Saturday, Aug. 20. 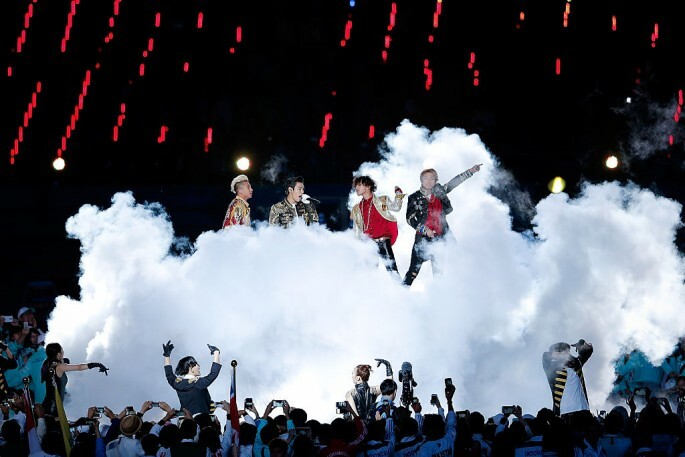 The five-member boy band held its 10th-anniversary concert dubbed "BIGBANG10 THE CONCERT : 0.TO.10" at the Seoul World Cup Stadium. The Bigbang concert was attended by 65,000 fans. It is said to be the largest concert crowd recorded for a Korean group performance in the said Asian country, according to a report posted on Korea Times. Bigbang's agency, YG Entertainment, initially planned for a 60,000 seater show. However, requests from the group's avid fans pushed the entertainment company to increase the seating capacity to 65,000. The group regaled the concertgoers with over 20 tracks from the band's list of hit songs. Bigbang even surprised its fans with a special appearance from Psy, as indicated in the same report. The "Gangnam Style" singer appeared on the concert screen to share a special message to his fellow label mates. Some of the singer's hit songs were also featured during the concert such as "Champion." Psy also recounted the first time that he watched the five-member group during Bigbang's 2016 debut. He recalled a conversation he had with YG Entertainment's Yang Hyun Suk who commented on the band's expected rise to stardom. Psy also made mention of Bigbang's growth as a singing group, as well as the diverse and distinctive music that they have released over the years. On the other hand, the Bigbang 10th anniversary concert was also filled with touching messages from the band members. Daesung told the concert crowd that he missed performing on stage for the group's loyal followers. He even applauded the Korean fans for their "passion and energy," Soompi reported. Meanwhile, group member Taeyang shared some of the band's worries over its 10th-anniversary concert. He even joked that they should have held a two-day show given the concert's huge turnout. A similar sentiment was also echoed by G-Dragon who teased that they were unsure of Bigbang's popularity in Korea given the group's previous overseas activities. "But looking at everyone here today, we're still popular," he stated. Bigbang is set to hold several fan events in other countries in the coming months. Watch the group's music video for its hit track titled "Loser:"